Frivols No. 7...featuring Songbird Gatherings by Primitive Gatherings. 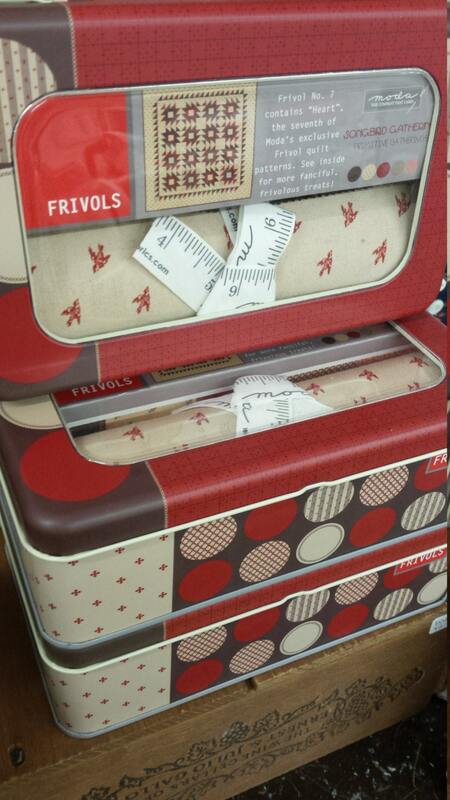 Hop on the Frivols train...who doesn't love moda fabrics and their lovely little tins and rolls! This is a moda exclusive...limited edition...better get them before they are gone. These lovelies are just the cutest thing ever! 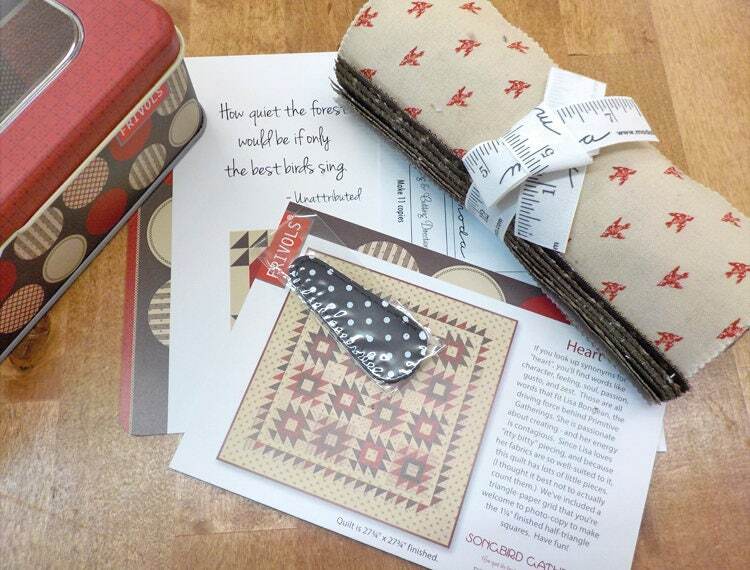 This Frivol includes a roll of 42--7 x7 inch squares of Songbird Gatherings, a brand new pattern, a Maker block pattern all in a cute little collector tin...don't forget an extra Frivol or 2! Heart project measures 28 x 28 inches...and features what I like to think of as "primitive valentine" colors in tan, dark chocolate, black cherry red.